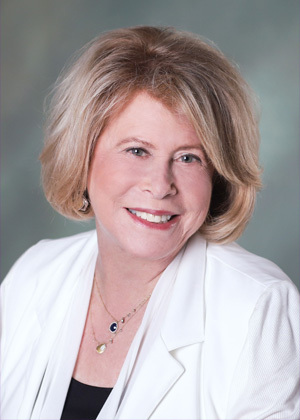 Carole Landis, LCSW, CPC, brings more than 25 years of corporate and nonprofit experience to her psychotherapy and coaching practice. Stressed and overwhelmed clients find her encouraging and empathetic manner valuable in addressing the reality of their problems. She guides them to approach their dilemmas with a different perspective, helps them to understand themselves better, and inspires them to discover alternative approaches that work for them. Carole's insight and sensitivity come from her years in healthcare venues, where she honed her professional skill building in marketing communications, sales, consulting, clinical social work, counseling, and training. Her foundation is supported by master's degrees from both Arcadia University and Bryn Mawr College Graduate School of Social Work and Social Research. As a psychotherapist, Carole's approach in working with adults, couples, families, and groups is based on helping clients discover their strengths and self-worth, so they can have healthier relationships. Carole's specialty in working with women evolved from her background in helping women cope with various women's medical/social/psychological issues, such as substance abuse; mental health problems, including depression and anxiety; HIV; cancer; and caring for aging parents. Carole has worked extensively with victims of domestic violence and sexual assault, and Holocaust survivors, advocating for allocations and services that help improve their lives. She has worked side by side with physicians, nurses, trauma surgeons, psychiatrists, clergy, police officers, and attorneys, and served on the state attorney general's task force on family violence. As a life coach, Carole motivates professional men and women to examine the obstacles that prevent them from feeling successful, in areas of relationships, personal interactions in the workplace, and professional achievements. She helps them set better goals, gain new insights and skills, boost their self-confidence, and develop strategies to handle challenging situations. Her coaching framework evolved from her training with master-certified coaches affiliated with Coachville. Carole is an activist and volunteer for women's rights organizations; she has served on some of their boards. She is also active on boards that support programs/policies that secure Amendment rights in fair treatment to all citizens and that seek to end discrimination, bigotry, and hate against any group, regardless of race, culture, or gender orientation. She has sponsored several Philadelphia and Montgomery County area No Place for Hate school programs of the Anti-Defamation League. Carole collects kaleidoscopes. The impermanence and easily changeable nature of their intricate patterns of crystals and vibrant colors remind her of the power that perception plays in our lives and in an ever-changing world. Turning the prism ever so slightly changes the perspective, and changes our view.